Our weaning journey began what feels like a million years ago, but it was actually only 10 months ago. 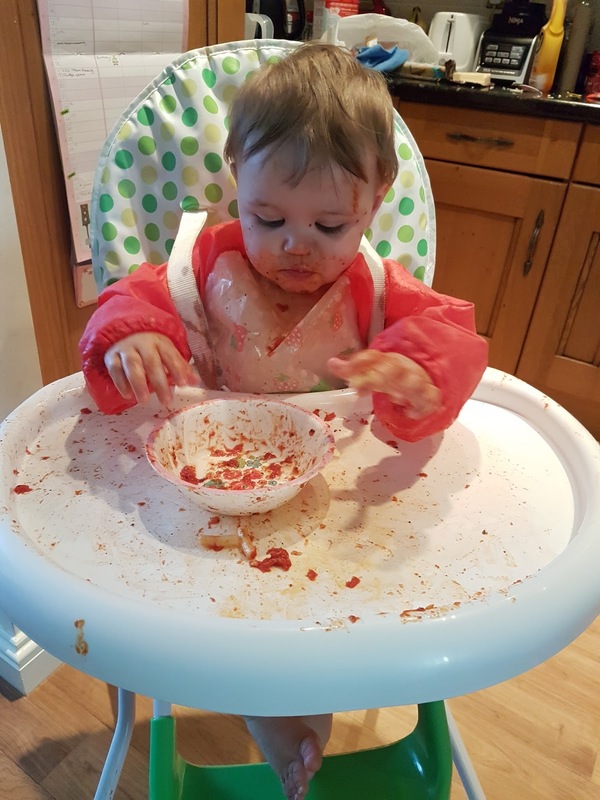 My experience of weaning Olivia may have been very different to others’ experiences, but I think that some of the worries and concerns would be the same as any other mum starting to wean their little monster! At four and a half months old, Olivia was so interested in everyone’s food. She was rolling and pulling herself along the floor, and could sit up all by herself. She also had a habit of putting EVERYTHING in her mouth, and trying ever so hard to pinch my food and eat it, so her hand eye coordination was good enough for weaning too. But I didn’t feel ready. My baby was giving me all of the signs to say that she was ready to wean, and so the day before she was 5 months old, she had her first rusk. I watched her like a hawk, terrified that she would choke on a bit of it, but she was absolutely fine and she loved it. That was the beginning, and it started relatively well. I began giving her finger foods like cucumber sticks and avocado wedges to munch on, but every time she coughed I was convinced she was choking. My partner must have been sick of my overreacting, but I didn’t see it as that at the time. There was nothing melodramatic, I really thought she wasn’t breathing when she clearly was. She was fast approaching six months old, the recommended age for weaning babies, and so pressure from my health visitor was increasing to let her try a variety of foods herself, and I said yes and went along with it. Every mealtime was emotionally traumatic for me. Every mealtime I ended up in tears and snatched the food away from Olivia, throwing it out and replacing it with milk. It was so hard to be sure that she wasn’t choking and that she was fine. Around that time I was re-diagnosed with depression and anxiety having spent two months thinking everything had gone away by itself, and that explained my irrational fear of the little one coughing at mealtimes, but it’s also a common feeling for new, first time mums to feel so worried about choking. I attended all of the save a baby’s life and baby weaning workshops at the local health centres, but it didn’t prepare me for how hard it would be not to assume the worst and overreact at the slightest spluttering. It didn’t help being told that it was normal and that every new mum gets paranoid, because personally I don’t believe that it’s true. Why are people on the outside so quick to paint as wide a brushstroke as possible to say what is normal? What is normal for me isn’t normal for somebody else. My obsessive anxiety over feeding my daughter was not normal for me, and once I stopped trying to be normal and follow the advice of other mums, my own maternal instinct was allowed to kick in. I convinced the health visitor that baby led weaning was too hard for me, listening to my partner who didn’t want to see me and our baby crying our eyes out at every meal. I was able to finally speak for myself and access support, not unhelpful advice that clearly wasn’t working for me. She helped me work out a proper feeding schedule, phasing in a ready-brek breakfast, a pureed lunch and a pureed dinner, healthy vegetarian options incorporating different flavours and textures. 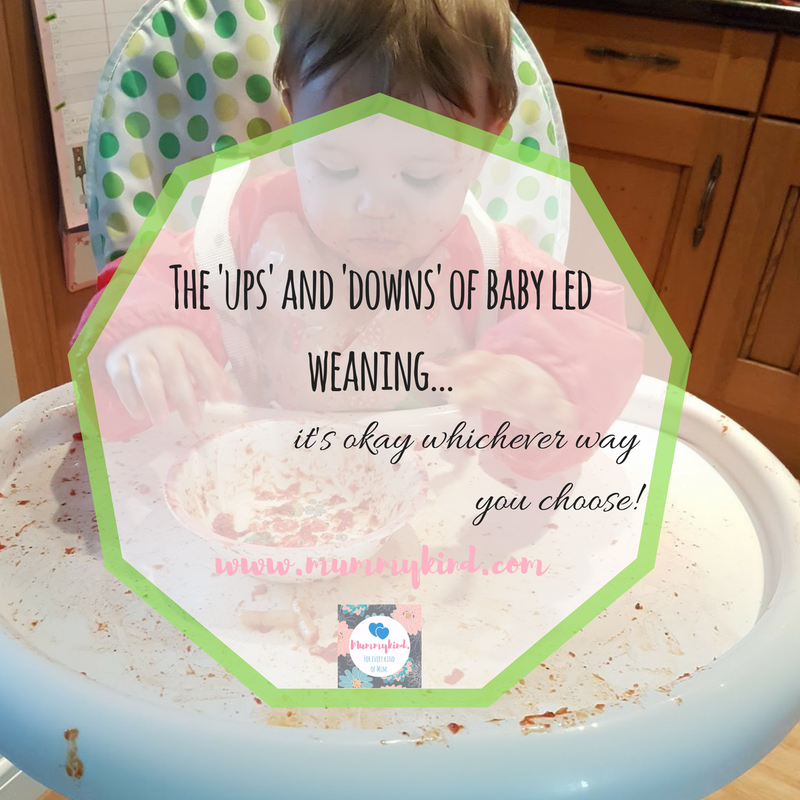 Choosing not to continue with baby led weaning didn’t mean that Olivia wasn’t going to experience different foods, or that she wasn’t going to learn how to eat (as my partner kept reminding me). As my confidence grew and my anxiety lessened, we fell back into baby led weaning as if she’d been doing it all along. She took food off my plate, she had fruit and vegetable finger foods, and we switched to toast for breakfast for her to feed herself. She’s now 15 months old, loves her food, and has absolutely no problems navigating lumps and bumps in her meals. Most foods she feeds herself, some are still semi-mashed up and spoon-fed. Looking back on the first 2/3 months of weaning, it seems silly and unnecessary that I worried so much. I desperately wanted to be able to do something right, after having a ton of trouble breastfeeding I think I wanted to compensate. There was nothing to compensate for. She was fed, happy, healthy, loved and looked after. Who cares how we do it, as long that’s what we do? It may take time to find your groove, but it’s there, and everything does click into place in the end.